SKF NOTE Jan. 25, 2017. I am very sad to hear about Butch Trucks’s death. He was a great guy and an essential part of the Allman Brothers sound. 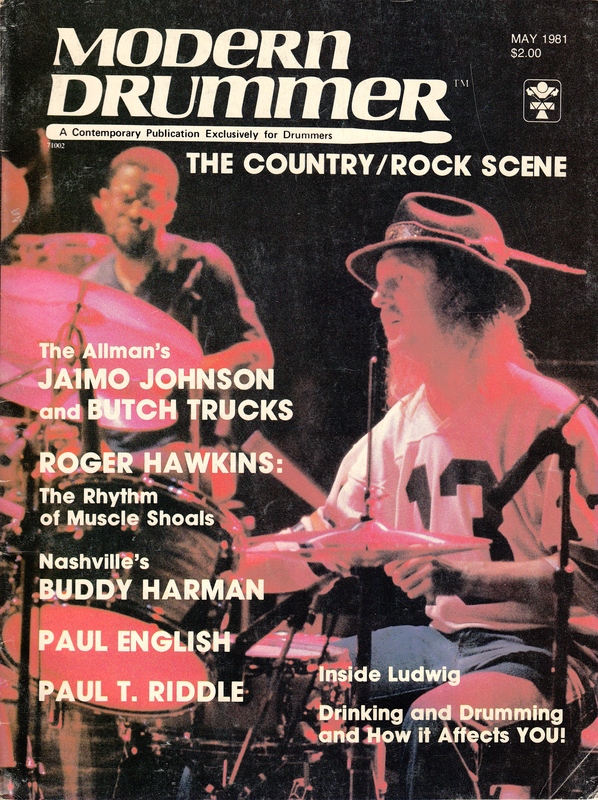 SKF NOTE: I don’t need to add much explanation to this first interview with Butch Trucks and Jaimo. Bill Grillo was a friend, a drummer, and a big fan of Butch and Jaimo. He had listened to the Allman Brothers much more than I had. His insight was an invaluable help with this interview. Also, until he settled on spelling his name “Jaimoe,” Jaimoe used several different spellings for his name. In 1981 he used (preferred?) “Jaimo Johnson.” That’s why it appears the way it does in our interview. Jaimo and Butch are great guys. I need to touch base with them again. I miss them. 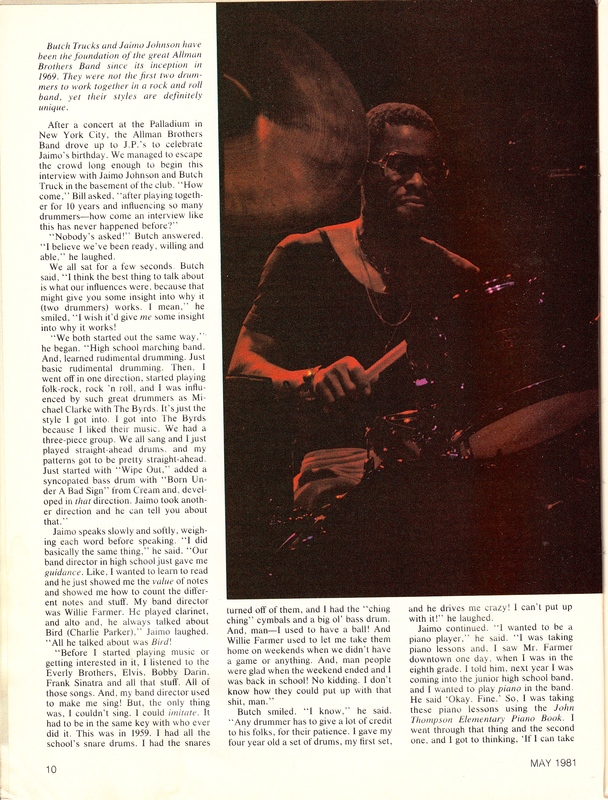 This entry was posted in SKF Blog and tagged Allman Brothers, Bill Grillo, Butch Trucks, Drummer, Jaimo, Modern Drummer, Scott K Fish. Bookmark the permalink.